First off, if you’re using this in the global scope (i.e. not in a function), then this refers to that global scope. In a browser, that means this and window are also the same thing (again, with this in the global scope). However, if you attach the function to an object as a method, this refers to the object you’ve attached the function to. Consider the output of the following program. In the first function call, this points to window. In the second method call, this points to the object. Here we’ve replaced the direct function and method calls with calls to call() and apply(). Our use of call and apply above are a little silly — they make no change in the program. That’s because we’re not using call and apply‘s main feature — the ability to bind a different object to this. Consider this modified program. The first argument to both call and apply is the object you want bound as this during the function call. By passing in boundObject we’ve ensured that this points to neither the window or window.object objects. Instead, it points to the boundObject object. In the call to foo, this points to the window object. In the call to newFunction, it points to the boundObject. For those interested in learning more, The Mozilla Developer Network (MDN) has more information (including how to use these methods with function arguments) on this, call, apply, and bind. The second is via a constructor function and the new keyword. A constructor function returns no value. When you use a constructor function with the new keyword, the this variable is bound to the object you’re instantiating. This is a weird, non obvious, design decision. Here we’d say A is a parent of B.
Object.create is a method on the global Object object. It creates a new object for you. It requires a single argument — the object you want to use as your new object’s prototype. If you give the following program a try, you can see the discussed parent/child fallback behavior we previously discussed. console.log(b.foo);     //logs "Bar, set on A"
For example, with strict mode on, this remains unbound in global functions instead of being bound to window. When the function finishes executing, strict mode is exited. We’ve already covered RequireJS in our PHP for MVC Developers series. You’ll need to be conversant with how Magento and RequireJS work together to get the most out of this new series. There’s also few things worth calling out w/r/t RequireJS and this series. Consider the following nominal RequireJS module. One thing that wasn’t 100% clear to me when I started using RequireJS was the fact that, if another module lists Package_Module/js/lib/some/module/name as a dependency, the code before the return value only runs once. That is, if other modules also include Package_Module/js/lib/some/module/name as a dependency, RequireJS will have a cached-in-memory version of the returned object, array, function, or string ready to go. Without getting too deeply into it, all closure means is when you return a function or object from another function, that returned function or object remembers all the variables you defined in the returning function. This means a method inside the object gets to access those “private” variables, but no one from the outside can do the same. 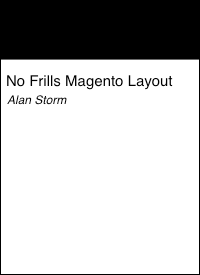 Above you can see the uiElement alias corresponds to the Magento_Ui/js/lib/core/element/element module.